Groundbreaking design, border-trascending ideas and surprising discoveries by the twelve best 'starplayers' of 2015 of the art academies in Rotterdam, Breda and The Hague. 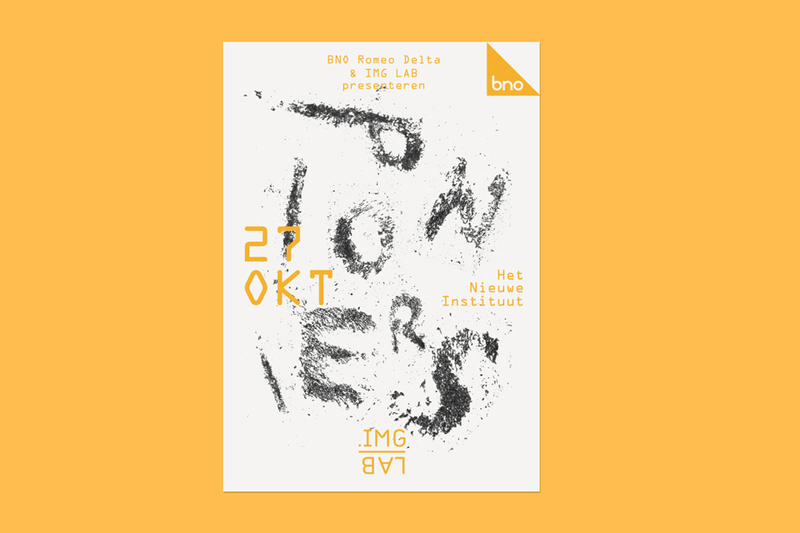 I created the flyer and visual language for this evening called BNO IMG LAB #48: Pioniers (Pioneers). Just like the big bang, every form of creativity in a way always starts with totally 'nothing'. An unknown area where you are continuously stepping in the dark, but what in the end - because of that insecurity and the taking of risks - leads to 'explosive' results. In the same way pioneers always do something they have never done, i created a flyer in a way i have never done. As material i used iron fillings and with magnetism i created typography that seems to appear and dissapear. This way an astronomical and explosive feeling is created.